Coughing neck pain describes symptoms that result from frequent coughing and the associated anatomical movements inherent to the cough action. There is no doubt that recurrent or chronic coughs can cause and exacerbate back and neck pain, often creating the ideal conditions for protracted suffering. Coughing can come about from many possible causes, including disease, environmental factors and lifestyle considerations. Regardless of the origin of the cough, the repeated expression of the activity can undoubtedly cause various manifestations of neck pain. This dissertation examines why coughing can cause neck symptoms, as well as how it can escalate existing pain syndromes. We will provide an overview of the causes of chronic coughing, as well as impart some valuable tips on mitigating these reactions towards organic pain management. Bacterial or viral infection can create coughing concerns when the contagion settles in the airway or lungs. Gastroesophageal reflux disease can cause chronic coughing through chemical acid irritation of the throat. Postnasal drip describes when mucus drips down the sinus passageways and drains into the throat, causing irritation and blockage, inciting coughs. Chronic lung disorders, such as COPD, emphysema and bronchitis can all cause coughing concerns. Asthma may create coughing fits in some sufferers, along with, or instead of, the more characteristic shortness of breath. Allergies are very common causes of chronic cough. Some pharmaceutical products might create coughing conditions in select patient demographics. Environmental irritants, such as smoke, dust, dander, pollen and other substances might cause coughing, even when no allergy is present. Smoking is a primary cause of chronic coughing, regardless of what types of substances are consumed. Lung disease, such as pneumonia or sarcoidosis, might be the harbingers of chronic cough. Violent coughing can actually cause whiplash-type effects when the head is thrown forward or backward from the coughing motion or the recoil after the coughing motion. Muscular strain is common to experience from long periods of coughing. These pain conditions generally affect the rear and rear-side neck muscles in the lower cervical region. Coughing creates huge amounts of internal muscular tension. It is commonly accepted that tension is often stored in many of the muscles, including those in the lower neck and the upper trapezius. This tension can be very painful and may become a chronic concern. Muscular tension enacted by coughing can change the typical curvature of the neck, creating hypolordosis or hyperlordosis pain syndromes. 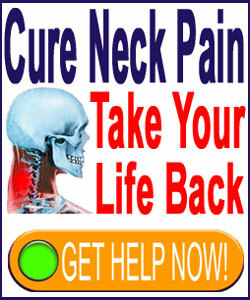 In rare cases, the neck might suffer truly extreme injury as a result of chronic violent coughing. A good example of this occurrence is the incidence of compression-type fractures in elderly coughers from repeatedly compressing the neck when expressing the cough. Any preexisting structural spinal issue, such as arthritis or an intervertebral herniation, can be exacerbated by frequent coughing. It is common for chronic coughers to also suffer similar pain patterns in the upper back or lower back, as well as in multiple areas of the dorsal anatomy concurrently. In order to treat neck pain that is caused by coughing, the most effective solution is certainly to resolve the cough once and for all. Depending on the nature of the causative mechanism, this might be easy to accomplish or might be virtually impossible. Patients who suffer disease, recurrent infections or allergies that create coughing problems might be able to find relief using pharmaceutical or mindbody therapies. This is certainly determined on a case-by-case basis. However, patients who suffer with a smoker’s cough must cease smoking and hope that the terrible damage they have caused their bodies will improve with time and an extended break from the noxious chemicals in smoke. For patients who can not successfully resolve coughing problems, there is still some hope to reduce the likelihood of suffering pain in the neck or back. This takes a concerted effort to cough as gingerly as possible and not to throw the head forward or back upon coughing or recoiling. This technique will not prevent tension buildup in the muscles, but might help decrease the chances of suffering strain or overflexion/overextension injury from particularly intense episodes of uncontrolled coughing.